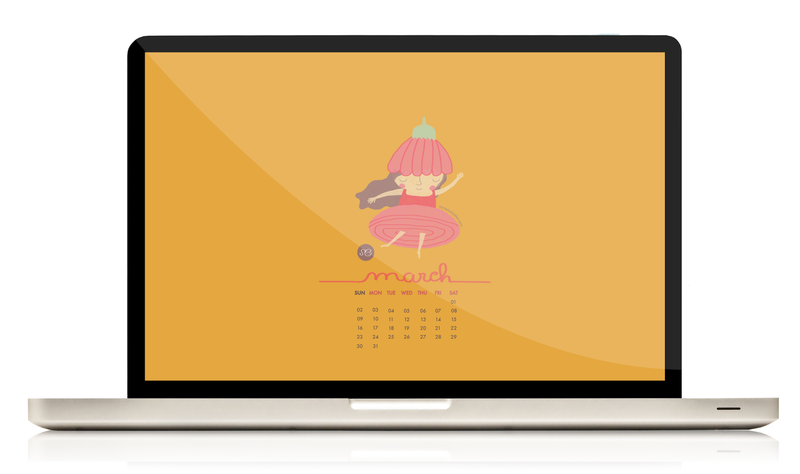 This month's calendar is already available, and just one day late! Maybe next month it'll be published on day 1. This calendar was a difficult one, I started in with a carnival theme and then remembered it'd only last for 4 days and decided to give up on that idea. After that I started one inspired by easter but then realized easter is only in april this year. I ended up with this illustration vaguely inspired by spring. The good thing is I already have next month's calendar started. Also, this month I tried to step out of the comfort zone (which is one of the goals of this project) and the illustration was made on photoshop and with brushes I don't normally use.